This commentary by Lorinda Youngcourt was originally published in The Seattle Times. INDIVIDUALS accused of misdemeanors in King County sit in jail for days, weeks, even months, for want of $1,000 bail. Already living close to the edge, they see what few support systems they have unravel while they’re incarcerated — accused but not convicted of a crime. And some — desperate to get out for fear of losing jobs, homes, even children — plead guilty, opting for a criminal record rather than the collateral consequences of incarceration. Leaders in both Seattle and King County take pride in their commitment to social justice. Yet even here, in one of the most politically progressive corners of the country, those of us who work in public defense bear witness to a system that sometimes puts people behind bars simply because they are poor. 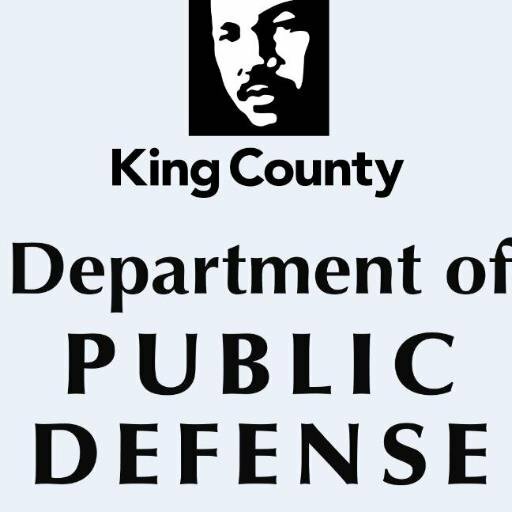 A 2015 study illustrates what happens when in-custody defendants come before a judge in Seattle Municipal Court for their first hearing. Some get released on personal recognizance (18 percent) and some post bail (8 percent). But 31 percent, by far the largest group, did not post bail. Though I don’t have studies about pretrial release in other regional courts, I know the county’s superior, district and juvenile courts need to address these issues as well. Often people don’t post bail because the cost of doing so is exorbitantly high. The Seattle Municipal Court study found that those who didn’t post bail on misdemeanor driving-under-the-influence offenses faced an average bail amount of $34,000. In other instances, as public defenders see all too often, even modest bails result in periods of incarceration. A bail of $1,000 costs an arrestee $100, yet many of us have represented clients for whom $100 was out of reach. Why is financial bail bad public policy? In part, because incarceration is costly — by some measures, the average cost of a night in the King County Correctional Facility is $147. A wealth-based system also doesn’t ensure public safety, as arrestees with enough resources can go free even though they might pose a danger, while poor people who pose no threat are imprisoned. Disturbingly, studies have also found a correlation between the length of pretrial detention and the likelihood of committing more crimes. Researchers surmise that as a person’s life becomes less stable — which can happen from pretrial detention — he or she becomes less rooted in the community, resulting in greater recidivism. And perhaps most significant, a recent study in Colorado found that pretrial defendants let out of jail on a secured bond — where one has to pay money upfront to be released — were no more likely to show up for court than those released on an unsecured bond, where a defendant signs a contract agreeing to appear before the court. Thankfully, a conversation is beginning to occur both locally and nationally about reforming the financial-bail system and replacing it with evidence-based practices that work just as well or even better. The federal courts long ago stopped using wealth-based detention, employing instead a system of pretrial service and supervision that attempts to ensure newly arrested defendants face the least restrictive conditions possible. Very few are held on secured bonds. Encouraged by the experiences of the federal system and troubled by the inherent unfairness of wealth-based detention, many regional jurisdictions are beginning to experiment with pretrial bail reform. In King County, with our deep commitment to equity and social justice, we have an opportunity to lead the way. Rather than place people in jail simply to ensure they show up for court, let’s use those resources to address the reasons people fail to appear — often, homelessness, mental disabilities or the chaos that accompanies severe poverty. Considerable evidence already suggests that skilled pretrial case management coupled with text reminders can be enough to ensure individuals comply with court orders. Attorney General Robert F. Kennedy made an impassioned plea for bail reform in 1964, when he told the Senate Judiciary Committee that many people in America are in jail “because, to be blunt, they cannot afford to pay for their freedom.” That is still the case today. It is long past time to reform a system of pretrial detention that is not only flawed, expensive and ineffective, but also deeply unfair. June 13, 2016 in DPD News.